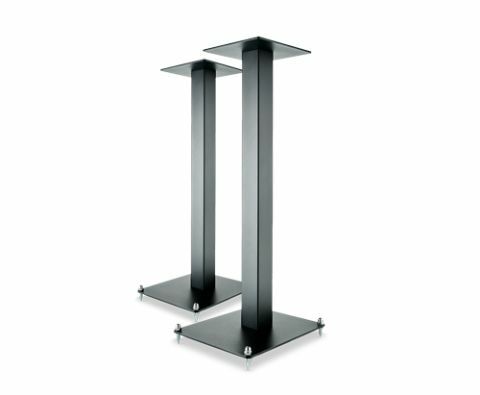 Custom Design SQ 400 review | What Hi-Fi? You can’t get much more simple than this design: one support, two plates. The top plates here are acoustic steel, an option that takes the price up from £90 to £100. Our only reservation with the Custom Design SQ 400 is the screws loosening and the parts starting to twist, so keep an eye on them. Performance-wise we’re very happy. Our Monitor Audio Bronze BX2s sounded full of life, detail and clarity. Low frequencies are definitely full, but with filler this can be mitigated. There’s a slight notch in the midrange which, when coupled with occasionally boisterous bass, can cause vocal parts to sit back in the mix, but overall it’s an enjoyable performance.